Another Pearce Cup for Easts !!!!! The MIGHTY EASTS Premier Team have demolished Karori inside 2 days to win by 9 wickets and the Wilkinson Pearce Cup is back in our cupboard, where it has been for 11 of the last 12 years. The boys have brought the trophy back home AGAIN !!!!!! 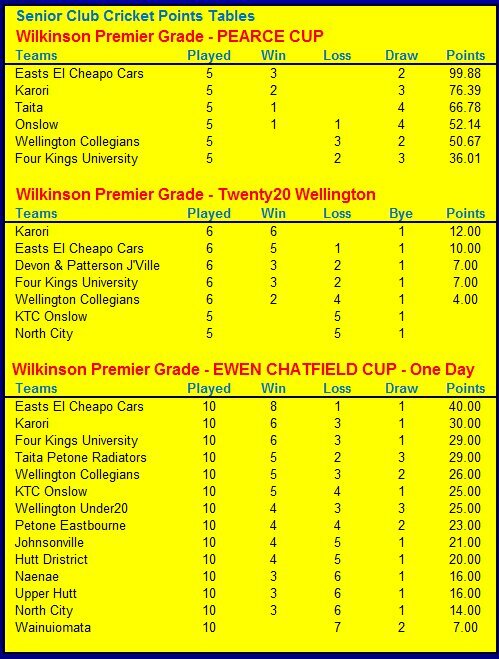 After Day 1 you may have had some doubts with Karori 155-10 and Easts struggling at 78-6. However a slow but steady recovery on the 2nd day saw Easts achieve 137-10, only 18 behind on the 1st Innings. Karori’s 2nd innings was then in complete disarray with some excellent bowling by Ricky Joseph taking 6-41 and Jamie Gibson 4-50. Lance Dry only used 2 of his bowlers in Karori’s 2nd innings and had them all out for 96 in 25.5 overs. What a turnaround - now it was up to Easts!!! 115 runs required to get for the win and Josh Brodie 56*, Ben Orton 38 and Josh Mclauchlan 17* got us home in 19.5 overs with some positive batting. Congratulations to The MIGHTY EASTS Premier Team !!!!! DominionPost - Day 1 - "McKay gives his Karori team edge in club final"
DominionPost - Day2 - "Club trophy goes East again"
The Premier Team are the top qualifiers for the 2012/13 seasons Wilkinson Pearce Cup Final. 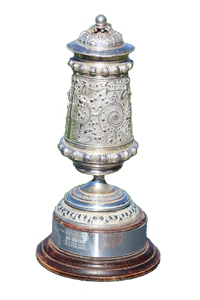 The 3 day final is to be played at the Hawkins Basin Reserve from Friday 29th to Sunday 31st March 2013 so get out there to support Lance Dry and his Premier team to win the Wilkinson Pearce Cup for another year. Read more .... DominionPost - "Pressure off inconsistent Karori in Pearce Cup final"
The Pearce Cup Cup was decided by the accummulation of competition points in the 1 and 2 Day games during the season but this year the two top teams would play a 3 day final against each other. The outright winner would win the Pearce Cup but if the game ending up as a draw then the top qualifier would be crowned the winner. 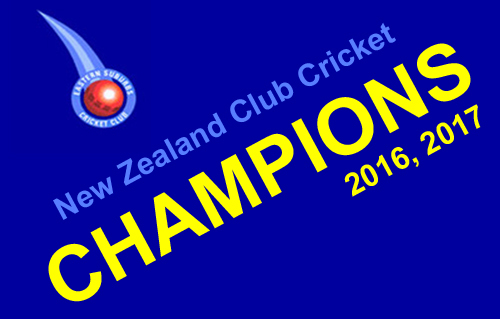 In 2013 The MIGHTY EASTS team won it again by beating Karori by 9 wickets in the final !!!. Now ELEVEN from TWELVE !!! !